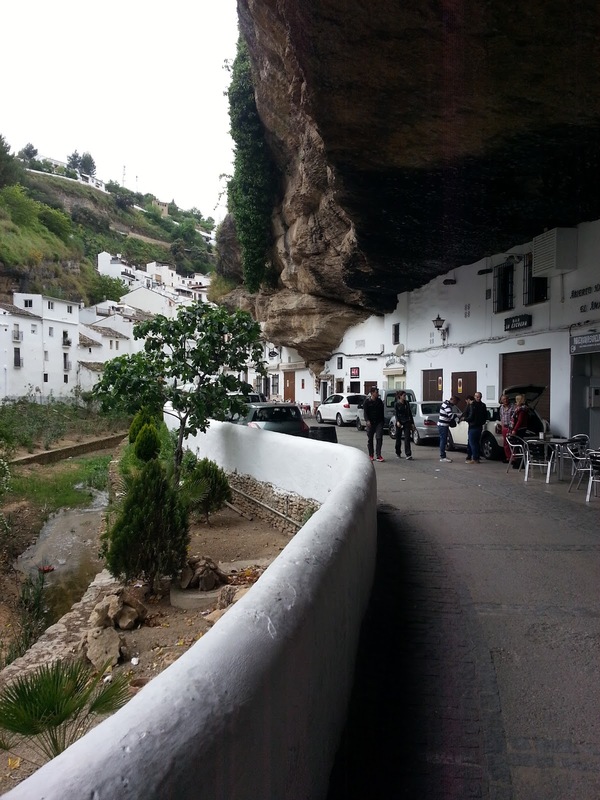 Setenil de las Bodegas is another white hill town (there are many in the province of Andalucia). However, most of the hill towns lived on top of the hills for protection, the people of Setenil did the opposite -- they burrowed into the caves beneath the cliffs of the nearby river. It actually worked since it took the Christian armies 15 days so remove the Moors that were living in Setenil in the late 1400s. Most of the original cave houses remain, although today they are most likely restaurants. We stopped at this adorable little town on our way home from Granada which was a perfect way to break up the 3+ hour drive home. Sadly, we timed it all wrong to enjoy tapas or the stores being open (thanks to the Spanish schedule) but it was still fun to walk around and see many of the buildings built right into and under the cliffs! 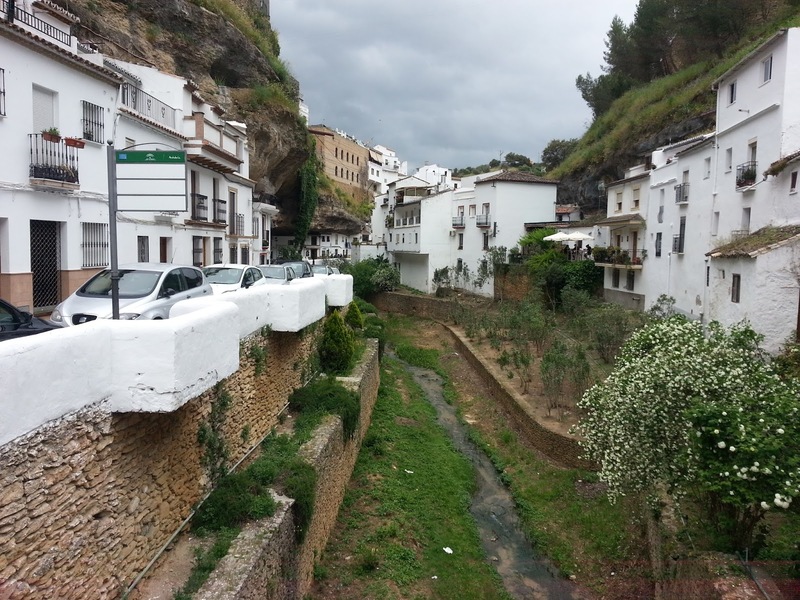 I would recommend stopping by Setenil on the way to other white hill towns in the area -- many of the guide books have routes that drive you through the hills towns and include Setenil. Most of these towns are incredibly small (1-2 main roads) and you don't need a lot of time to walk around, enjoy the scenery and take pictures. But the views and quaintness of these towns are worth a day trip to a few if your schedule allows it! Plus many of these towns have incredible olive oil and wine, so they are great places to stock up. Also, because these towns are small -- it is typically a safe(r) place to allow the littles to run around; there often aren't many cars going up and down the narrow roads. We hope to get back to this area soon to explore more of the white hill towns!